12.7" x 16.4" stitched on 14 count. 9.9" x 12.8" stitched on 18 count. 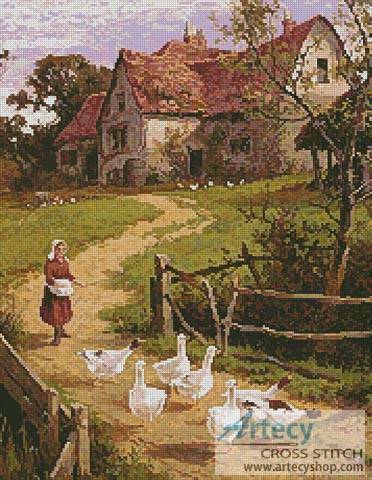 Berkshire Homestead cross stitch pattern... This counted cross stitch pattern was designed from a painting by Henry H Parker. The image used to create this pattern is copyright of Rehs Galleries Inc. http://www.rehsgalleries.com/ Only full cross stitches are used in this pattern.